Cruising the Panama Canal is a once-in-a-lifetime journey, through which guests will be able to experience the incredible culture and wildlife of this impressive region in complete luxury. Here’s a glimpse of what you’ll experience on a cruise through the Panama Canal aboard the Discovery Panama Cruise, and why it’s an experience you won’t want to miss. Cruising through the Panama Canal can be done Northbound or Southbound, and most itineraries are about a week long, to take advantage of everything the area has to offer. A cruise through the Panama Canal promises a variety of sights, cultures, and experiences, with something every traveler can appreciate. The cruise will begin or end in the lively capital of Panama City, a destination home to more than 880,000 people and the center of Panama’s culture. This is where the canal connects to the tropical waters of the Pacific Ocean. The ship sails from the Pacific to Contadora, a destination within the Darien Jungle which offers an incredible natural environment and wildlife. Here, ships often stay for a night, allowing travelers to disembark during the day and begin to explore. The Darien National Park is home to a variety of different terrains and habitats, with everything from rocky coastlines and sandy beaches, to swampland and tropical rainforest. The area is also referred to as the Darien Gap, being the only break in the 30,000 mile long Pan American highway that runs from Patagonia to northern Alaska. In addition to the diverse wildlife of the national park, Darien is also home to two different indigenous tribes: the Embera and Kuna Indians. These proud people have inhabited the area since before Spanish colonization, and have been able to maintain their traditions and lifestyle as they were before the Spaniards colonized the regions. A stop here allows visitors to see these villages and their unique lifestyle, one of the last remaining places in the world in which people inhabit a protected ecosystem. From the Darien Jungle, ships sail to the real-life postcard of the Pearl Islands off the coasts of San Telmo. With crystal clear waters, white sand, and swaying palm trees, it’s an absolute dream for beach lovers and divers. Swim, snorkel and kayak through the tropical waters right where the shipwreck of ‘The Explorer’ remains, or join divers on their quest for pearls. After a day exploring the islands, prepare for the peak of the journey: entering the infamous Panama Canal! The ship will enter the canal, and then be raised (if going Northbound) 85 feet above sea level to meet Gatun Lake. At this juncture between the Pacific and Atlantic Ocean, travelers can witness the living history and operation of the engineering marvel as they experience it for themselves. Passing through the Panama Canal takes most of the day, allowing visitors the opportunity to spend the night in Gatun Lake upon Panama Canal waters. The following day, guests can explore Barro Colorado, the 607-acre island in the middle of Gatun Lake. The island is only accessible by boat, thus limiting the number of tourists and providing a powerful natural environment that is tranquil and pristine. On the island, you’ll be able to explore the expansive jungle landscape and diverse wildlife. 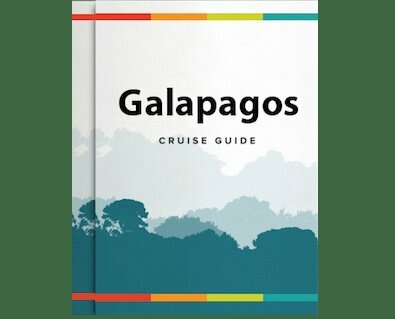 A tour guide will help you spot monkeys (including the Spider Monkey, White-Faced Monkey, and Howler Monkey), iguanas, toucans, and even leopards. Home to the renowned Smithsonian Tropical Research Institute who focuses on the unique rainforest ecosystem, Barro Colorado is one of the most studied places on earth. After visiting Barro Colorado, the boat can make its way to the Chagres River (the largest river within the Panama Canal, where the Chagres National Park is home to dense, tropical forest. The river was originally founded by Christopher Columbus in 1502, and later used as a valuable gold route by the Spanish monarchy to protect it from attacks by pirate, the Spanish built Fort San Lorenzo in the 1560’s, and rebuilt it during the 1680’s. The fort is a UNESCO World Heritage Site, and guests will be able to witness this exceptional sample of Spanish colonial military architecture up close and personal. Combining this and the Panama Canal itself, this journey has a rich architectural history to offer visitors with a special interest. The end of a cruise through the Panama Canal will be in Portabelo, on the Carribbean sea. This quiet seaside town has a population of fewer than 3,000 people, but a rich history marked by famous explorers, and is currently experiencing a cultural revival based around the local customs of Congo art and dance. Here you can visit the Church of San Felipe, Spanish forts, and embark upon the Panama Canal railway which is a scenic ‘interoceanic’ trip that runs parallel to the canal and returns visitors to Panama City. Now imagine, sailing through all of this on a luxurious catamaran, the Panama Discovery Cruise, also the only vessel authorized to stay overnight in Panama Canal waters. Downtime can be spent on the sun deck, observational deck, or kayaking around the ship. Panamanian haute cuisine will be served by the onboard chef, and guests can be sure to experience exceptional attention to detail and dedicated levels of customer service by the ship’s staff. Cruising the Panama Canal has never been so easy! Contact Us for more information about the Discovery Panama Cruise.